LAWS manages a small shelter that can house up to 30 dogs and 10 cats. However, the shelter is almost always full. The number of adoptive families falls short of the number of animals that need help. LAWS welcomes the general public to visit the shelter at any time to see the animals that are available for adoption. This private property provides a sanctuary beyond the garden and wild bush veld for free roaming bushbuck and impala, with mown paths which make for lovely walks and runs. Fleur de Lys is perfect for nature lovers with a busy schedule. Bushbucks and impalas live in various habitats and they are protected at Fleur de Lys. The Munda Wanga Wildlife Sanctuary is home to a large collection of wildlife species. Most of these animals are endemic to Zambia. 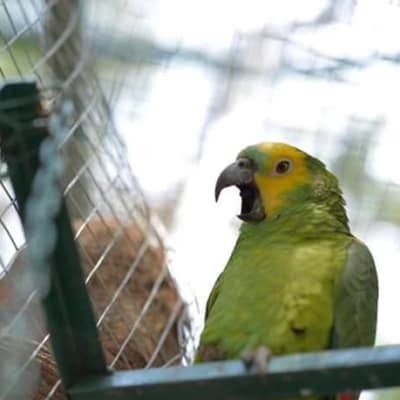 The sanctuary houses a large number of animals that have been saved from illegal pet trade, found injured due to poaching, or other types of animal-human conflict.